The last time Intel Graphics were in the news was at the end of last month when the firm released a recruitment video advertisement trying to entice engineers to "join a movement". The video starred Raja Koduri and Bob Swann and outlined the company's plans to excel in its efforts with discrete graphics. If you are eager to hear more of Intel's graphical processing plans the next good opportunity looks like it will be at GDC 2019 just over a month from now. 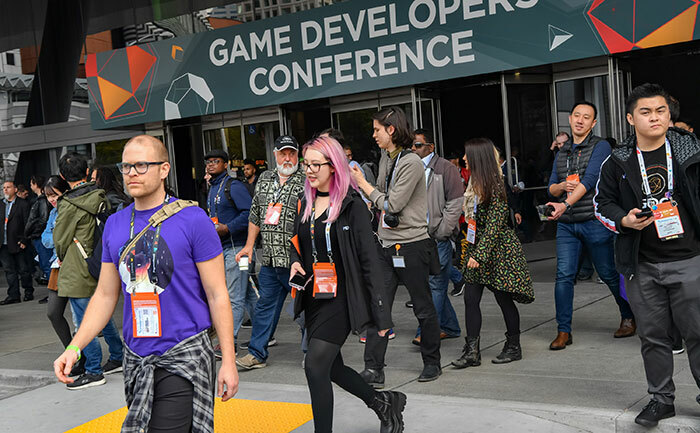 GDC 2019 takes place between 18th to 22nd March in San Francisco. Intel's Antoine Cohade (Sr. Developer Relations Engineer) and Michael Apodaca (Principal Engineer) will lead a discussion about the architecture of Intel processor graphics Gen11. Scheduled for release later this year, the Gen11 graphics will "bring significant improvements over the widely used 9th-generation graphics," claims Intel. At the GDC 2019 session, Intel will kick off its talk with an overview of Intel graphics architecture, its building blocks and their performance implications. Following the preamble "we then take an in-depth look at the new and innovative features of this latest generation," teases the GDC Schedule notes. Intel has just released an updated graphics driver for 6th Gen and newer processors with integrated graphics. The highlights of this beta release are its improvements delivered to those wishing to play Sid Meier's Civilization VI: Gathering Storm and / or Apex Legends. 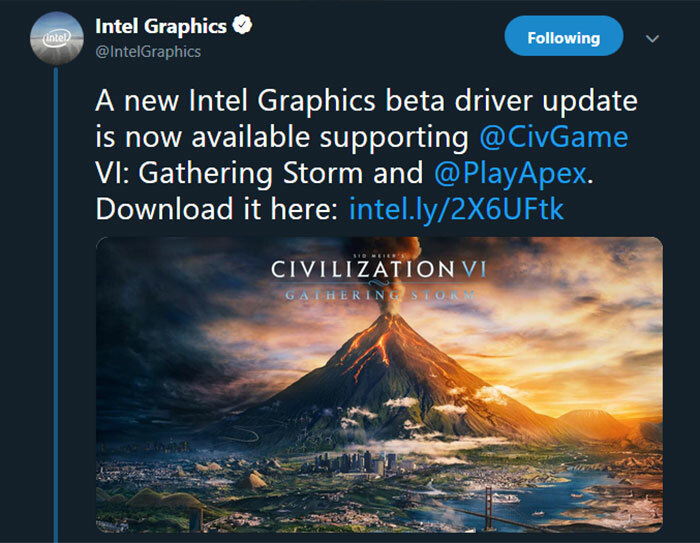 According to the release notes, the new Intel graphics driver delivers playability improvements in the second expansion to Civilization VI. Meanwhile, if your processor packs Intel UHD Graphics 620 or better, you will be able to enjoy some optimised action in EA's new Apex Legends. You are encouraged to visit https://gameplay.intel.com/ to check what the best settings for your specific processor are. There is only one known issue remaining in the driver, but it might be widespread among DX11 games. Intel notes that "Minor graphics anomalies may be observed in Battlefield V (DX11), and other games". This stupid tosh again. Why would they a) want to and b) need to? When and if Intel release a disrete graphics solution - It will tell us one of two things. Either Kodouri was being hampered by lack of funds at AMD, or he is yesterdays man who has nothing left to contribute in the graphics engineering wotld. Vega is pretty good as a compute card. The problem is that AMD have never made serious inroads into the big compute markets and with limited funds, adding features which focus on compute probably came at the expense of gaming performance. If they had a larger budget, I'm sure they could have made an architecture focussed on both with the gaming card being based on different smaller dies with most of the compute features removed. Like Nvidia does (although Turing is a bit of a mix although with RTX they found a way to reuse of the AI focused stuff).